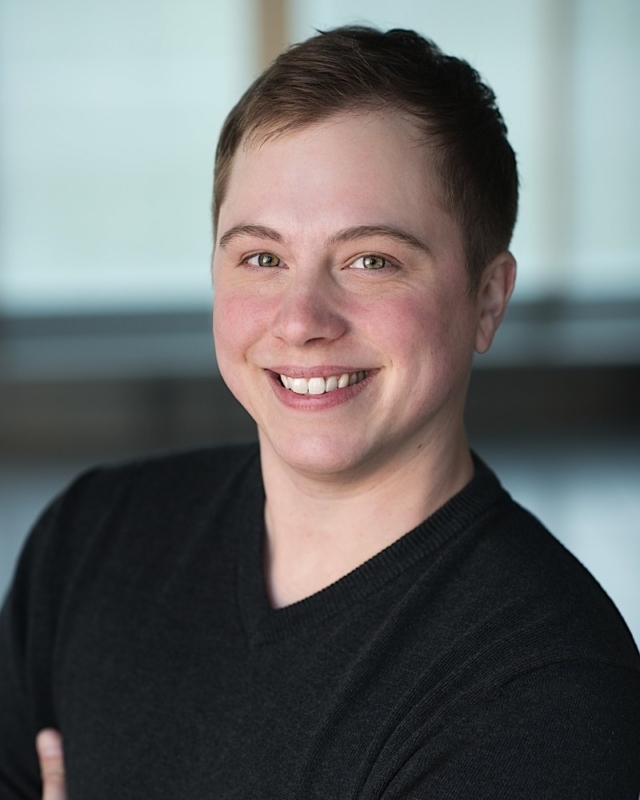 St. Paul-based author and vlogger Austen Hartke is the creator of the YouTube series Transgender and Christian, which looks to interpret Biblical scripture in relation to gender identity. The following is an excerpt from his recently released book Transforming: The Bible and the Lives of Transgender Christians © 2018 Austen Hartke. Used by permission of Westminster John Knox Press. “In the beginning, God created the heavens and the earth” (Genesis 1:1). As a kid, I would read these first words in my children’s Bible over and over again—not because I found them particularly interesting, but because I was the kind of person who always started books from the beginning, and I could never seem to get any further into the Bible than Noah and the ark before I lost interest. But I appreciated the sense of organization. Each bit of the world was broken into pairs and opposites, like sun and moon, or sea and land. By my teenage years, though, I began to get a sense of the way life sometimes falls outside black-and-white categories. Personally, I began to figure out more about my own sense of gender identity, and I wondered if all people were really divided into male and female, as Genesis 1 seemed to say they were. Because the ancient Israelites tended to separate their world into binaries (take a look at the kashrut laws that govern acceptable and unacceptable foods, for instance), it’s not surprising that Genesis 1:27 breaks humans into two groups as well—male and female. But this verse does not discredit other sexes or genders, any more than the verse about the separation of day from night rejects the existence of dawn and dusk, or the separation of land from sea rejects the existence of marshes and estuaries. Just as we call God the Alpha and the Omega, implying all things from first to last and in between, the author of Genesis 1 is using a poetic device to corral the infinite diversity of creation into categories we can easily understand. When we attempt to box God’s creation in by looking to Genesis 1:27 and expecting every person on Earth to fall into line, we’re asking the text the wrong question. If Genesis 1 was meant to describe the world as it is, the biblical authors would have needed a scroll hundreds of feet long to name creature after creature from the elephant down to the paramecium. Just as we wouldn’t expect astronomers to cram things like comets and black holes into the categories of sun or moon, we shouldn’t expect all humans to fit into the categories of male and female. Instead of asking the text to define and label all that is, we can ask God to speak into the space between the words, between biblical times and our time, and between categories we see as opposites. When I asked Barclay if they identified with the concept of in-between places in space and time, their answer surprised me. I had always assumed that nonbinary people identified themselves as somewhere between male and female. But Barclay said, “To say that you’re nonbinary innately suggests there is a binary, and my whole point is that there’s no such thing. We’ve created this formula and forced our understanding of gender into it.” Instead of seeing themselves as halfway between male and female, Barclay and many other nonbinary people identify as something completely different. Spectrums are a wonderful form of freedom, but charting our identities along a line in two dimensions has its limitations. We don’t see each other, or ourselves, in only two dimensions. Bisexual and nonbinary advocates are suggesting that it’s long past time to update our ideology. Perhaps, instead of insisting that each person can be charted along a line, we should be looking up and seeing that the multitude of sexualities and gender identities exist in 3D, sprinkled through space like the stars. This movement from homogeneity to diversity, and from strict boundaries to ever-widening circles plays out in scripture from Genesis to Revelation, and transgender Christians today are beginning to notice. Rather than leaving the church, they’re claiming their place and telling their stories. They’re giving us the freedom to recognize that nobody fits neatly into just one box. Learn more about Austen Hartke at www.austenhartke.com.